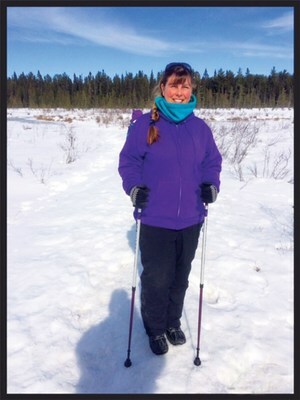 TORONTO, Sept. 28, 2017 /CNW/ – Did you know that over 200 independent studies on PubMed have found Nordic walking poles help you strengthen your core, improve your posture and balance, and provide a more intensive workout than traditional walking? This kind of physical activity can keep you strong and healthy, and help you recover after a stroke. That’s why, for the month of October, March of Dimes Canada is partnering with Urban Poling Inc. to promote active living with ACTIVATOR™ poles. For the entire month of October, 10% of any online purchase of ACTIVATOR™ poles will go to March of Dimes Canada. You can also buy ACTIVATOR™’s at any participating IDA or Guardian store, and donate $10 to MODC. With your donation, you’ll receive a free set of snow baskets to use your poles in the winter. Most of us take walking for granted but, after a stroke, we may need extra support. That’s where ACTIVATOR™ poles come in. Developed by a Canadian therapist, they provide stability and confidence for walking which is crucial to stroke recovery. During the month of October and on World Stroke Day – Sunday, October 29 – some IDA and Guardian locations will host in-store information sessions on the benefits of active living with Urban Poles for stroke prevention & rehabilitation. Webinars outlining how to use ACTIVATOR™ Poles for stroke survivors will also be available on the following dates: Tues. Oct. 3; Tues. Oct. 10; Wed. Oct. 25th. All these webinars are scheduled from 12:00 to 12:30 pm EST. Health care professionals can find out how to use ACTIVATOR™ poles as an innovative tool to improve outcomes for stroke recovery in a webinar on Wed. Oct. 4 from 12:00 to 1:00 pm EST. 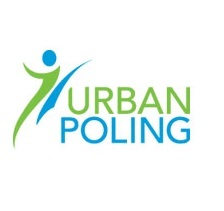 Click here to register for any of these webinars and thank you to our partners at Urban Poling Inc, Guardian, and IDA. Stroke survivors and their caregivers can also find support and resources through March of Dimes Canada’s Stroke Recovery Canada® program.